For the past few weeks this weather has been playing havoc with my face! What better way to to protect it than with the help of Ren. This London weather has seriously got me down, one minute it is freezing cold, the next rain, on the odd occasion it has been sunny and my poor face can take it no longer. I decided to head to the closest beauty department store and go in to see what I can find and what a find I left with. Laden with my goodies, I set off home with my luscious purchases to give them a go. The luxurious facial wash just glides over your face, you do not need to pump out loads I would say two pumps on to your palm would suffice. On applying over your face, you automatically feel the silky smooth lather working and once rinsed off your face feels refreshed. 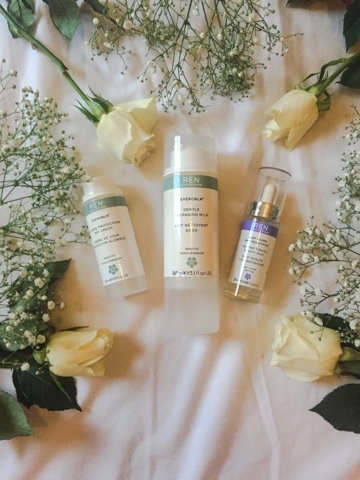 This cleansing milk wash works perfect for me as I have sensitive skin and anything too harsh can cause irritation so this one is perfect for day and your night time routine. The only downside for me is, is sometimes you do need a little exfoliation just to get deeper in to your pores, I only exfoliate twice a week so this is fine, I must investigate to see if Ren have an exfoliator cleaning wash. My overall rating of the Gentle Cleansing Milk is 9 out of 10 and it certainly will be having a prime slot on my shelf. Some may find the price a little steep at £16.00 for 150ml bottle you can not go wrong with Ren and it is 100% worth the money. This glorious little product is magnificent the consistentcy is amazing, I don't just use this facial cream in the day at night too. Reason why I love this cream so, my face at times can feel and become dried out pretty quickly, especially with this cold windy weather we have been having, this cream is thick enough to withstand the weather without feeling greasy and cloggy, my face is left glowing once applied and at times I am reluctant to put on makeup, just because it looks so dewy. My only qualm is when the weather does pick up and it's hot, would this cream be too heavy for then?! But I do live in the UK so do we ever really get a summer. When it comes to face creams I will pay my weight in gold for a great cream and at only £28.00 for 50ml I certainly can not complain. Hands down a 10/10 for me. The minute I opened this bottle, my senses were blown, the heavenly aromatherapy smell is orgasmic I literally wanted to bathe in it! When I purchased this gel-serum I did think the sales assistant was just trying to upsell me on this, but boy am I greatful that she did. I have to say you do not need to use a lot, a little certainly goes along way with Ren products. Once applied it dries within moments, you can at times find with some gel-serums your face can feel a little sticky, not this product no way ladies and gents you instantly feel your face firming and somewhat lifting, something like Botox, not that I've had Botox but how I would imagine it to be. I have a tendency to use this glorious product at night before bed and only mornings if I've had a sleepless night or need a little extra pick me up. However it does state that you can apply over your makeup but that for me would ruin the beauty of this product, I personally would only apply on a clean face. The downside of this product, that it does not come in a bigger bottle, but it won't ruin my day. 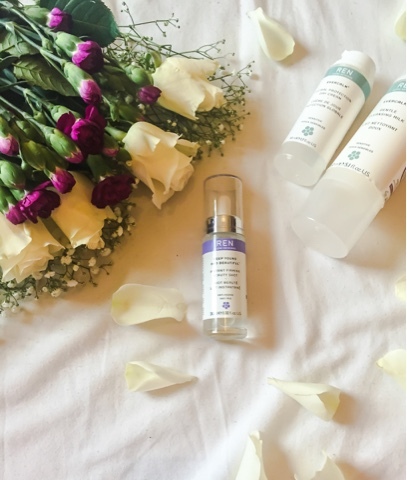 I have purchased gel-serums higher priced in a lesser quantity, that has not worked as amazingly as this product. Priced at £36.00 for 30ml another 10/10. 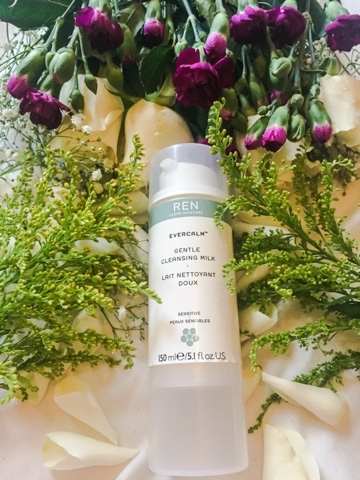 In totall Ren has been great, I am going to certainly see what other great products they have on offer, maybe this time for the body and under eye. I of course will keep you all informed of my findings. 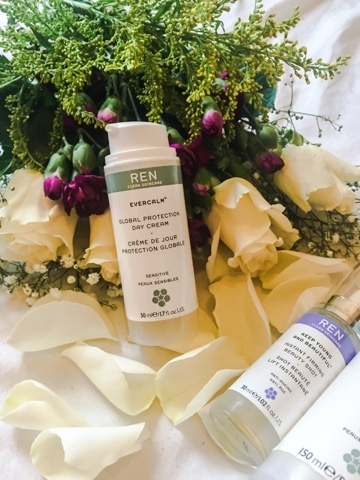 Have you spied any Ren products that you have tried, whats your thoughts? Also if you get in quick, Ren are giving you 20% off your favourite product until Sunday, no code required! The day cream sounds amazing! It's so great to find a moisturiser which is rich and nourishing on dry skin, but without being greasy. I will definitely be popping this on my skincare wishlist! Hi Sharon, Glad you like my post and the pictures. Means a lot when someone other than myself loves the post.